Pike Stair Company Recently Installed Stairs and Railing for LA Flagship Store. Pike Stair Company recently completed a large project for the West Elm Beverly Hills flagship store. 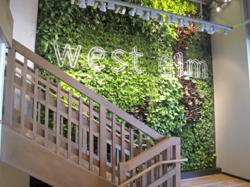 West Elm is a furniture store, known for their natural materials, clean lines and modern designs. The project included approximately 300 linear feet of railing and 4 freestanding staircases. “The Los Angeles area is host to a unique variety of homes and commercial spaces with diverse architectural styles. The staircase is the centerpiece of your space, which should reflect your style. There are dozens of different types of staircase designs to choose from,” said Owner of Pike Stair Company, Eric Pike. A staircase design should complement your home and personal style. It should be beautiful and functional. Pike Stair Company offers design and drafting services to help the customer execute their design vision, while providing creative solutions and staying aware of safety concerns. a project new ideas and design changes may occur. If a new concept is introduced, we are willing to work towards achieving the customer’s desired result,” said Eric. Stair design and installation should be handled by professional installers. Pike sales staff and project managers are experienced installers with over 30 years of combined experience. They provide high quality craftsmanship and excellent customer service. Pike Stair Company is family owned and operated. With a combined experience of over 30 years, you can rest assured that your project will be installed professionally and efficiently. They are located in the center of Orange County and are able to service all of Southern California. From the simple repair to a complete re-design, every project is treated with the same passion for excellence. Pike Stair Company understands that the only way their customer will refer them is if they are totally satisfied.